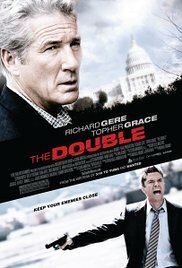 I thought a film with Richard Gere as a retired secret agent might well be interesting. The first half hour it was. When I saw Topher Grace, I didn’t recognize him immediately. And then it hit me. He used to play in “That ’70s Show“. At that time he already looked sluggish and dull. In this movie it also seemed as if he would fall asleep any time. This part totally didn’t suit him. The plot being revealed so early is something new. But then it all crumbles down and at the end you get a totally unexpected twist. The only thing is, it’s totally unbelievable. The heroic fight at the end between Richard Gere and Tamer Hassan was kind of entertaining, but when suddenly Gere crawls along Grace and almost immediately passes away, I was like, “Yep, come on“. What a silly theater. A spy / thriller with a great start, a surprisingly early disclosure and then a downward flight to an anticlimax. One positive thing : it was fun to see Martin Sheen playing again.